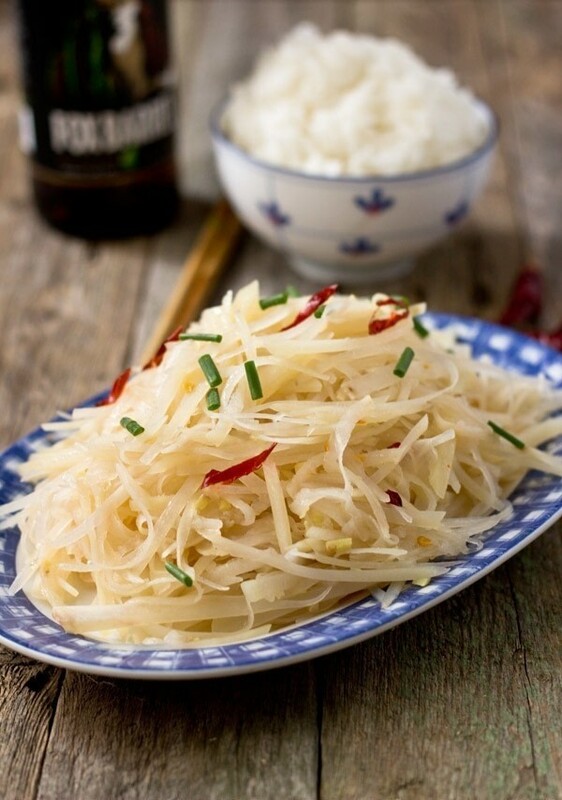 This appetizing, crispy shredded potato has just the right amount of sourness and bold spiciness. 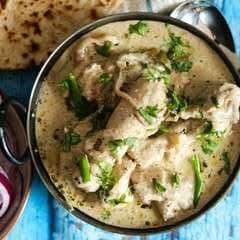 It goes very well with any kind of dish, vegetables or meat. Compared to French fries, this stir-fried potato is not greasy at all. Use a knife or food processor to cut the potatoes into shreds. 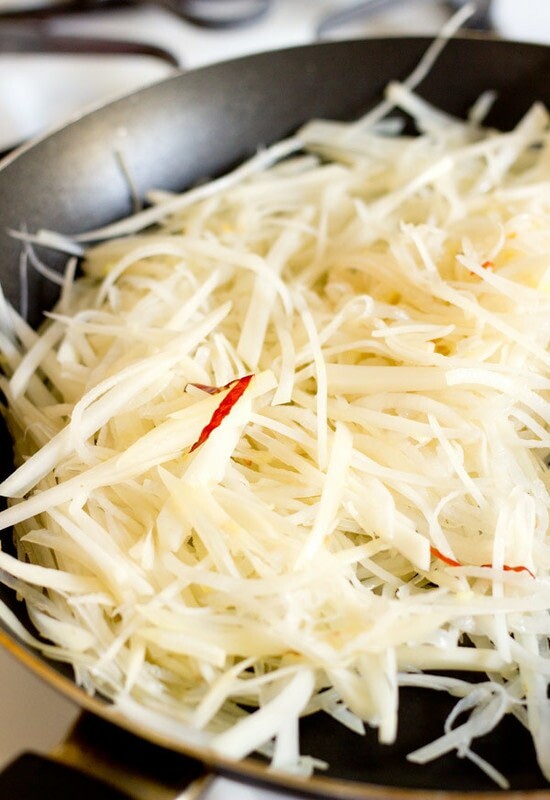 Place the shredded potato in a colander, rinse with cold water thoroughly to remove the extra potato starch. Drain the water well. Heat oil in a frying pan over medium-high heat. Add ginger and chili pepper. Stir occasionally until fragrant. Add shredded potato. Stir constantly for one minute. Add vinegar and salt. Stir-fry for another minute or till the shredded potatoes are translucent. Garnish with green onion on top. Serve hot or cold.